Romain Grosjean: "We had a pretty good afternoon; the car was working well especially on the shorter runs which saw us set the seventh fastest time. We have a little bit more work to do on our longer runs, which we'll do overnight and see where we are on Saturday. Generally we're happy with what we have done so far. For qualifying, we should have a good fight on our hands with Force India, Williams and Ferrari. And the rain – if it comes – could be challenging as we run such low downforces, which makes the car very slippery in the wet." Pastor Maldonado: "It was a good start today, we have a decent balance with the car and we still have more potential to get for tomorrow. We also have plenty of data to analyse for the new Pirelli tyre pressures ahead of qualifying and especially for the race on Sunday. It'll be important to take good care of the tyres during the Grand Prix. For qualifying, it's difficult to say as everyone is quite close behind Mercedes. We will hard push as always." Valtteri Bottas: "It was a good Friday. Thankfully it stayed dry and we got through the whole plan without any issues. We were doing a lot of set-up work with the car, trying different aero, mechanical and suspension settings. Now we've tried a lot of different things with both cars so we have plenty of information for tomorrow to choose all the best combinations so I'm looking forward to the outcome because I think we can be competitive." Felipe Massa: "We had a positive session and I am happy with the balance and feeling of the car which is a good start to the weekend. We have to now have a look at the data and compare this to where we think our competitors are over the short and longer runs. At a first glance the car looks competitive, we just need to make sure we are ready for tomorrow." Felipe Nasr: "It was a normal Friday. The work we have done today was mainly on the aerodynamic side, finding the right downforce level. Besides that, we did brake tests. All in all, I feel quite confident in the car. We are working step by step on some details, but the overall balance is satisfying at the moment." Marcus Ericsson: "It has been a productive day. We were able to test different set-ups on the car. 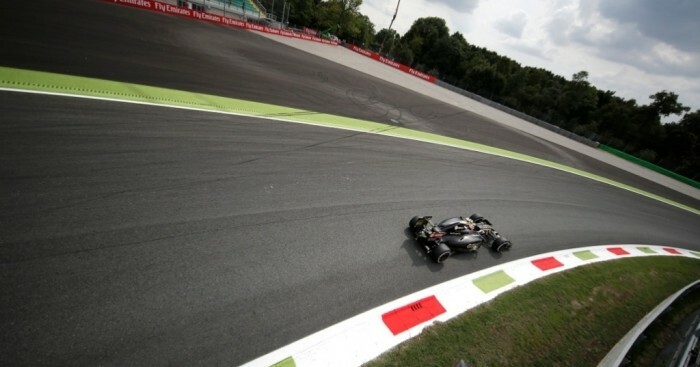 As Monza is a special high-speed track, we were also trying different downforce levels. It was not the cleanest day, as we had some interruptions in the programme due to the changes we made. But overall we collected a lot of data, so we are going in the right direction for the weekend." Daniel Ricciardo: "We know we’ll lose quite a bit of time on the straight here in Monza, so it’s the best place to take our penalties. We focused on the race set-up, since we will be starting from close to the back of the grid. If it’s looking to be a dry race, we’ll look at saving tyres during qualifying, and other strategy options. We have a standard setting for the brakes and we've seen the normal tyre wear which is expected at this track. We’ll do what we can for this race." Daniil Kvyat: "It was a tough day for us today. We lost quite a bit of time in the second practice session and we couldn’t work through our full programme. Qualifying isn’t our main focus, as we have the penalties to deal with and we made the decision to concentrate on the long runs. The pace is what we expected for Monza."